Located on the Blakestown Road between Clonsilla and Mulhuddart, St. Peregrines GAA club continues to provide top-class, modern sporting facilities for the local community in Dublin 15. From a humble beginning in 1978, the club now fields over forty teams from under 8, right up to senior level. The club continues to go from strength to strength as we grow our brand within the GAA and the wider community, offering top quality facilities, coaching and Community involvement. The club boasts a state of the art covered and seated stand with the capacity to hold over 500 patrons which has become a firm favorite with the Dublin County Board as a neutral venue for Championship matches in all codes. The club has hosted Leinster and All-Ireland Ladies Football and Camogie finals, as well as countless Dublin Championship and League deciders. Our top of the range dressing rooms and treatment areas ensure that visiting teams are always well facilitated. In 2012, the club hosted the annual Dub-Star matches, attracting the admiration of revelers from all over the country, who were extremely impressed with what we had to offer. The club gym, sports hall and floodlit astro-turf pitch ensures that our own players have the highest quality training facilities in the area, in any sport. These facilities have attracted a number of inter-county teams, who use the club to train before matches. The Dublin Minor Ladies Football team, 2013 All-Ireland Finalists, regularly train at St. Peregrines. 2011 saw the opening of a sand-based Juvenile pitch to the rear of our main pitch. This had added a new dimension to the Juvenile section of the club, allowing our future stars to show off their skills on a top class surface. The club's underage structures continue to blossom with an ever-growing nursery and academy catering for boys and girls from 4 years upwards. We host Spring, Summer and Halloween camps catering for children right up to 12 years of age. Our coaches in these camps have come through the underage ranks at St. Peregrines, many of whom continue to play for the club as well as giving their time to teach the games to the next generation. Our club GPO, Amanda Scallan, not only promotes the games within the schools and local community, but continues to educate our current and future coaches on the most up to date methods in coaching, nutrition and player management. Many of our Juvenile teams enjoyed success on the field in 2017 and with our ever evolving coaching and development strategies, we look forward surpassing these achievements in 2018. Our representatives on Dublin and Development panels continues to grow year on year ensuring the future looks bright on the Blakestown Road. 2017 was a proud year for St. Peregrines with Eric Lowndes winning his third All-Ireland SFC medal, which he adds to his minor medal from 2012. Our Senior Football team compete in AFL2 and the Dublin Senior Championship and continue to make strides towards promotion to Division 1. We also have Junior Football teams that will compete at AFL6, AFL9 and AFL10 in the 2017 season. Our Intermediate Hurlers narrowly missed out on promotion in 2016 and boast Fingal duo Colm Foley and James McAnaw, as well as Leitrim star David McGovern, within their ranks. Our Junior Hurling team will compete at AHL8 in 2017 following promotion last year. Following their Championship win last year, our Senior Camogie team are gearing up for another successful season in 2017 with the addition of a minor team for the first time in a number of years. Our Senior Ladies Football team boast two 2010 All-Ireland winners in Louise Kidd and Emma Travers. They continue to impress both on the field and as up and coming coaches with some of the squad taking over our minor team, which boasts a number of Dublin starlets. 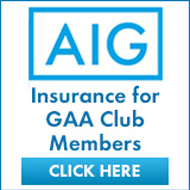 Our Gaelic 4 Mams team offers a less competitive option for our members. Naomh Peregrine contributes to cultural development in the Dublin 15 area, hosting ceili and set dancing classes as well as participating in the annual GAA Scór competitons. Last year the club hosted the Dublin Scor na Paisti competition, winning the overall club award, with pride of place going to club members from St. Ciaran's J.N.S. in Hartstown. We also host a number of Community initiatives, including the Community Credit Union Schools Quiz, Order of Malta and a number of resident groups and neighborhood watch schemes. As always we will continue to provide top class entertainment on a Saturday and Sunday night and Bingo on a Wednesday night as well as Darts, Pool, Pitch and Putt and a Golf Society. We at St. Peregrines look forward to continued success in 2018 as we strive to further develop within the Dublin 15 Community. We appreciate the work our members do on and off the playing field, without which the club could not prosper. We are also grateful of the support of our sponsors and look forward to continue our relationships with them. As we enter into our 40th year, we are looking to recruit new members of all ages. Anybody that wishes to get involved at any level, playing or social, can contact me on the details below.